sheer mention of street food would conjure up images of an overpriced, soggy burger and tasteless chips that leave you feeling queasy after a few bites. But nowadays, the reality of the street food revolution couldn’t be further from what was once considered to be the truth. 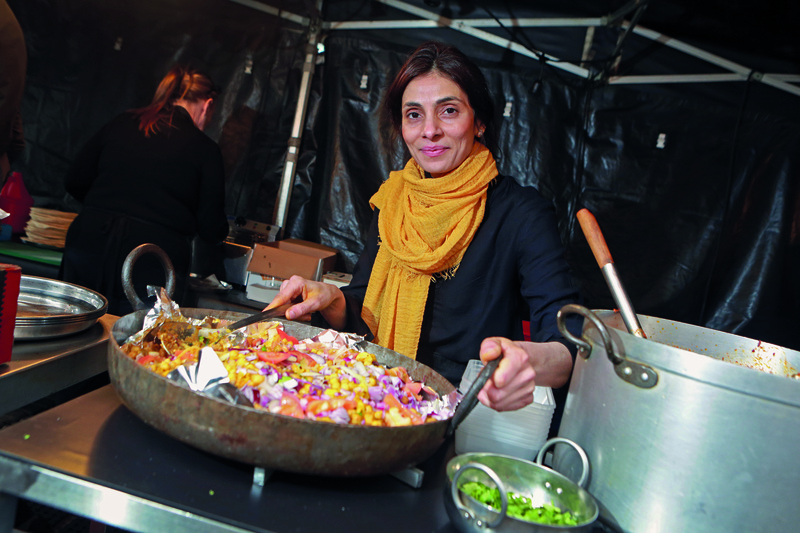 With a boom in popularity of mobile food vans and stalls containing continental cuisine, street food has hit fever pitch. In fact, it’s now hard to walk through a music festival or busy city centre at the weekend without being greeted by an array of tastes to choose from. And naturally as demand grows – research by Santa Maria suggested that last year 94% of street food eaters would eat the same or more cuisine bought from vendors – so does the quality of what’s being served up. For wholesalers, providing this new breed of customer with the ingredients they need to draw people to their stalls, means making sure quality is high, so food not only tastes good, but looks too good to ignore as well. Part of the UK’s street-food boom is down to the ever-increasing foodie interest in experimenting with what they’re eating too. A trip to any market will reveal a clutch of continental stalls, offering flavours and dishes from all over the globe. What’s more, it’s almost always cooked authentically, feeding consumers’ desire to discover cuisine that comes from further than just our shores. 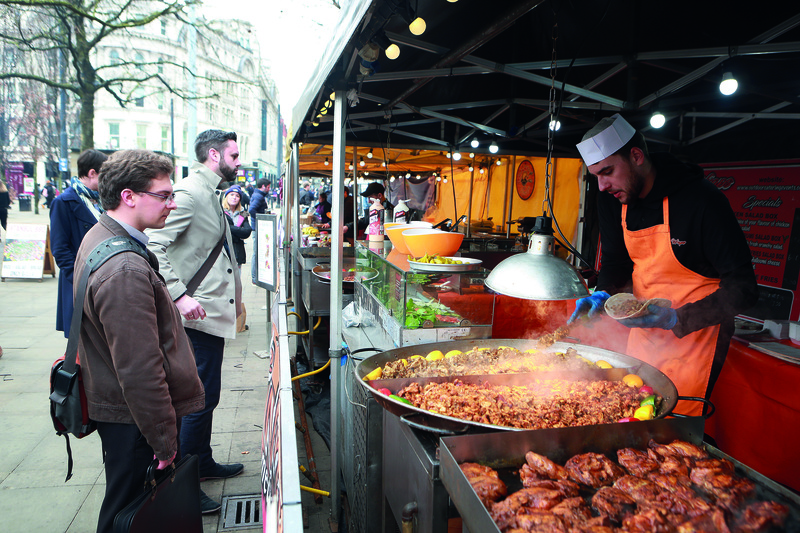 With the way the nation eats continuing to change, Wholesale News visited Piccadilly Gardens Street Food Market in Manchester to find out what traders and customers want on their perfect menu. “Street food is all about live cooking and getting good takeaway food. It’s very popular because people don’t just want fast food anymore: they want something that tastes good and has traditional flavours. For us, that’s Indian food, but all the stalls are different. when the market is here. “Quality is important, but the food needs to look good to the eye as well. I always make sure my food standard is good – it doesn’t matter how long the queue is, serving food at the right temperature and with the best possible presentation is very important. “I don’t buy anything pre-made and all my food is made by family or friends, so has a homemade quality to it. We purchase the raw ingredients and make up the menu from there, and you can taste that in our meat and samosas. “I’m originally from Syria, but have been running my own street-food stall in Manchester for three years now. I used to have a falafel stall back home in Syria, so tried to use my skills when I moved to Manchester too – I like being my own boss. “All the food we sell here is the same as I did in Syria. Our food tastes as good as it did back home because I’ve been able to find all the raw ingredients to make the flavours I need. 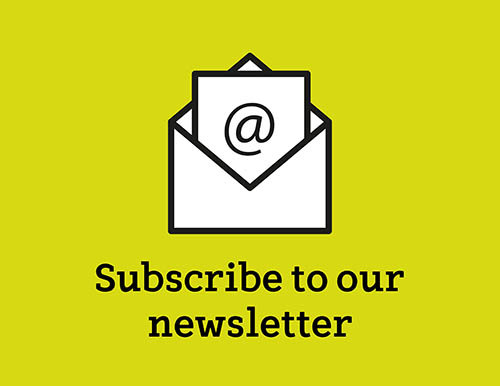 “I’ve been working on street-food markets for five or six years and was a quantity surveyor before I started. We sold sushi at first, but it was too expensive and not everybody likes it, so we made the decision to focus on Chinese instead. “Noodles are a very common food that people are aware of and chicken is something everyone eats. I need to know what’s in my dishes, but also choose something that I know customers like – our salt and pepper chicken is the most popular. “I buy the best possible meat and noodles. If the product has less quality, it won’t last throughout the day and bad noodles will melt, so the ingredients need to be the best I can get. If it tastes nice then people will come back too, which is something you need to make money in this business. 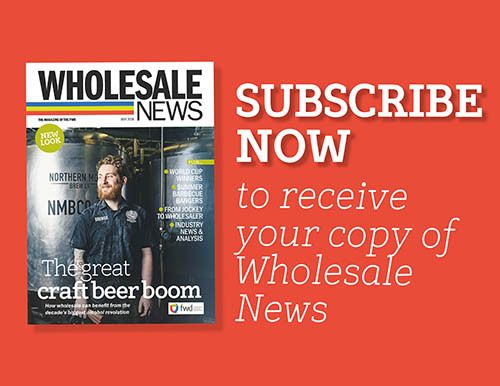 To read the full feature, pick up June’s Wholesale News or check out the free digital edition. Published 4:19pm June 18, 2018 . 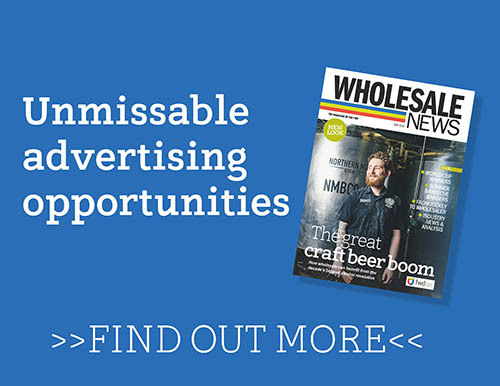 Why is sharing confectionery on the increase and how can wholesalers profit?